If the Itel P33 didn’t impress you, the Itel P33 Plus should do just that. Say hello to Itel P33 Plus, the latest and greatest Tech in the Max Power series. The Itel P33 Plus is a power filled android smartphone that is here to stay. It is best described as the AI Power Master with phenomenal power and performance. 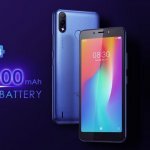 The Itel P33 Plus is currently the best big battery smartphone in the Itel P series, it comes with a huge battery that can stay active for at least four days on a single charge. 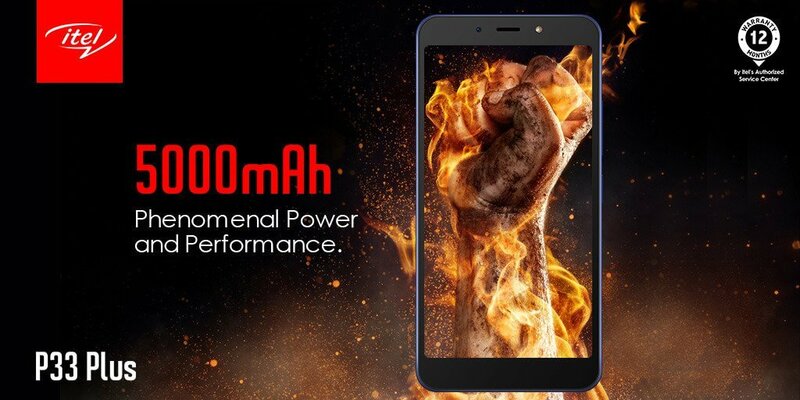 No wonder Itel mobile called the Itel P33 Plus “my Power my Hero”. In case you don’t know, the Itel P33 Plus is also the 6th generation flagship in the Itel P series. The Itel P33 Plus is available in 3 main colors: Champagne Gold, Black and Deep Blue. 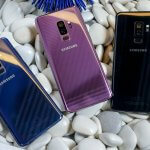 There is also a Gradation blue color that comes in limited edition. Talking about design, the Itel P33 Plus comes with some few noticeable upgrade in her design. The first is her large size; since the Itel P33 Plus was released together with a younger pal, we weren’t expecting it to come out small. The Itel P33 Plus comes in a bigger size. Its is indeed a smartphone for big hands. The Itel P33 Plus boost a 6.0 inch HD+ IPS full view display that automatically transcend the P33 Plus into a bigger sized smartphone. Aside having a massive display, the Itel P33 Plus comes with two large bezels at the top and bottom. At the top is where the front-facing camera and flashlight sits while the bezels at the bottom remains empty. This is because the nav buttons are on-screen. 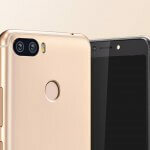 At the back of the Itel P33 Plus is where the vertically placed camera shooter is positioned alongside the Fingerprint reader that is placed slightly below. As usual, the Power/lock button and volume rocker still sits at the right side of the smartphone. The body is just slim with some curved edges around. 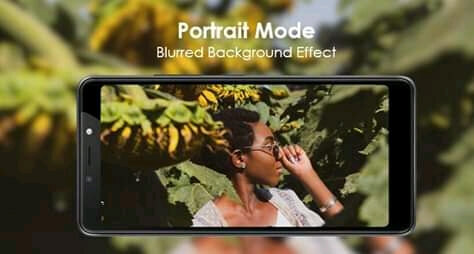 The Itel P33 Plus comes with an AI Camera that have Auto Focus and portrait mode for taking photos with blur background effect. On the Itel P33 Plus is a dual 8MP rear camera with LED flash. There is also an 8MP front-facing camera that comes with flashlight. With AI on the camera of the P33 Plus, both cameras can be use to take beautiful and quality pictures during the day or at night. The battery life of the Itel P33 Plus is the most interesting part of this smartphone. Can you imagine having up to 5000mAh battery capacity on your smartphone. Well, the possibility is endless. The Itel P33 Plus should in fact be your next android smartphone if you want a 5000mAh big battery smartphone that is controlled by AI. According to Itel mobile, the Itel P33 Plus 5000mAh non-removable battery can last for up to 100 hours; that means you get about 4 days of usage with just a single charge. 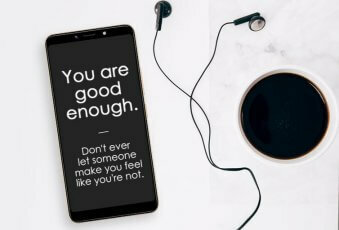 Itel Mobile went further by saying that the Itel P33 plus equals phenomenal power and performance, “this is the device you can use without having to charge every day”. On the software scene, the Itel P33 Plus ships in with a pre-installed Android 8.1 Oreo (Go Edition) and a UI that is almost stock android. There is also a 1GB RAM and 16GB ROM storage configuration on the Itel P33 Plus which is enough to take up to 8000 photos and 3000 music in Nigeria. 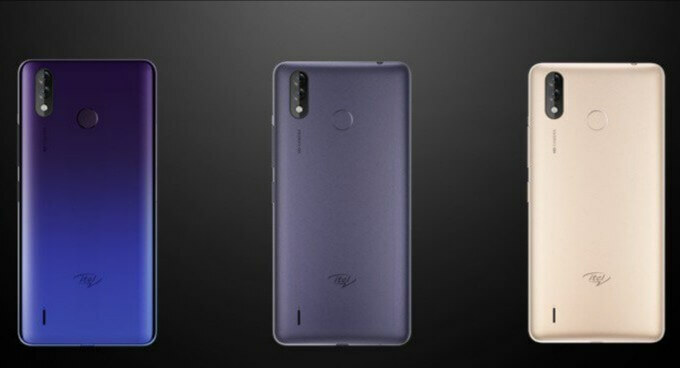 On the Itel P33, there are two main security features; face ID and fingerprint scanner. The face ID comes with a new face unlock feature that only captures one face and that must be your face. 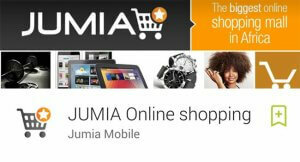 The fingerprint sensor on the other hand gives you convenience and security at your finger tip. According to Itel Mobile, the fingerprint sensor can provides up to 8 times the functions you could ever imagine. Other exciting Tech on the Itel P33 Plus are interesting AI features like sleep mode, app freezer, auto start management, auto brightness, lock screen clean up and abnormal warning. With sleep mode, you get the same battery you left the Itel P33 Plus with when you lock the screen. App freezer helps you take away apps you barely use on the Itel P33 Plus. This helps you save a lot of power. Honestly, the Itel P33 Plus is the number one big power phone to switch over to using if you feel your current smartphone isn’t performing excellently. When you think about the new features and the price of the Itel P33 Plus in Nigeria, you will definitely find more reasons to buy this smartphone. At first, I didn’t see anything that would make me drop my current smartphone for the Itel P33 Plus but when I started going through her numbers, I saw her 5000mAh battery and I was like WHAT? The Itel P33 Plus is a smartphone that is definitely gonna be a necessity for many in Nigeria considering the fact that Itel smartphones are now making lots of sense this days. I want to buy itel p33 plus in umuahia( Abia state) on Monday, can I get it their ?